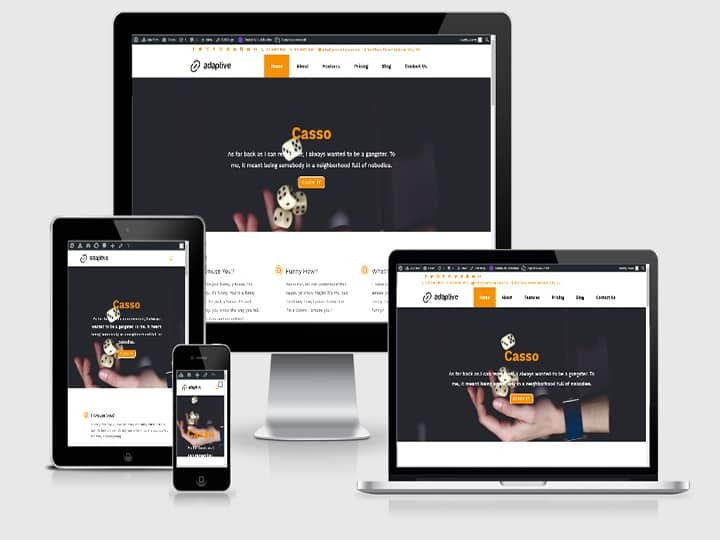 Casso Divi Child Theme is a new custom made website template for sale on various online marketplaces. It is designed as a general purpose theme to be used for just about anything. This child theme has been designed using quite a bit of CSS, for the navigation bar, fullwidth call to action buttons, hidden rows / blurbs & blog. It has 6 pages Home, About, Features, Pricing, Blog & Contact. There is also a blog post layout. There are also some modules included too. The theme colours are mainly white, deep orange and some black. Unique About Us layout with progress bars to display skills. The theme has been made in a way to make sure it is as easily edited as possible, I have used global fonts, colours etc, there will be some modules where you will have to manually edit to change the colours.